My parents say that I was born with a formidable appetite, and my friends are convinced I have a hollow leg to accommodate the incongruous portions I consume. Needless to say, I love food, and as with my love for music, I embraced international flavors from a young age. Variety is the spice of life! I was confidently wielding chopsticks by age 10, and loved sushi, raw oysters, and all sorts of spicy, pickly flavors. My hometown of Los Angeles holds its own among large cities with fine cuisine from around the world, concentrated in ethnic enclaves from Little Ethiopia to Thai Town and everywhere in between. 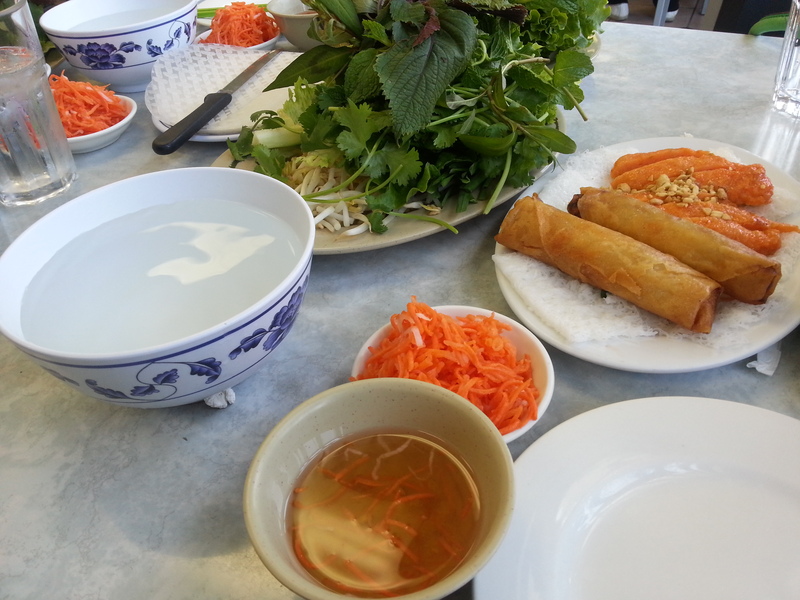 Also home to the largest Korean, Armenian and Persian populations outside those respective countries, LA offers particularly fine varieties of those cuisines. Though a love for cooking didn’t emerge quite so early as my love for sushi, and I still go through ebbs and flows with my interest and inspiration, I do enjoy experimenting in the kitchen. Contributing to Italian/Texan family dishes with my Houston-based family during holidays such as stuffed artichokes, West Texas cornbread stuffing and faccia de veccia (a savory bread that translates to ‘old lady face’) is immensely satisfying. In this blog, I plan to cover fun culinary experiences in LA and beyond as well as my own cooking efforts and some inspired works of friends. 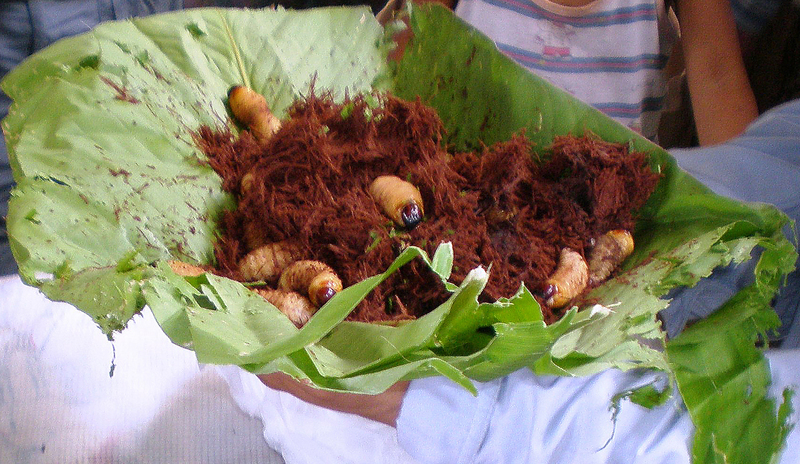 Just for fun… perhaps the most bizarre thing I’ve ever eaten was a fried palm beetle grub larvae in an Amazon village in Peru, somewhere in between Iquitos and Nauta. While there I also tried masato, a drink made from chewed-up and spit-out yucca root that ferments into an alcoholic, white, opaque drink consumed on special occasions. Both these items are considered delicacies and while I can’t say I’m raring for more, I appreciated the opportunity to try them and the welcoming people who presented them. Thankfully, my travels have also presented many more appetizing meals. 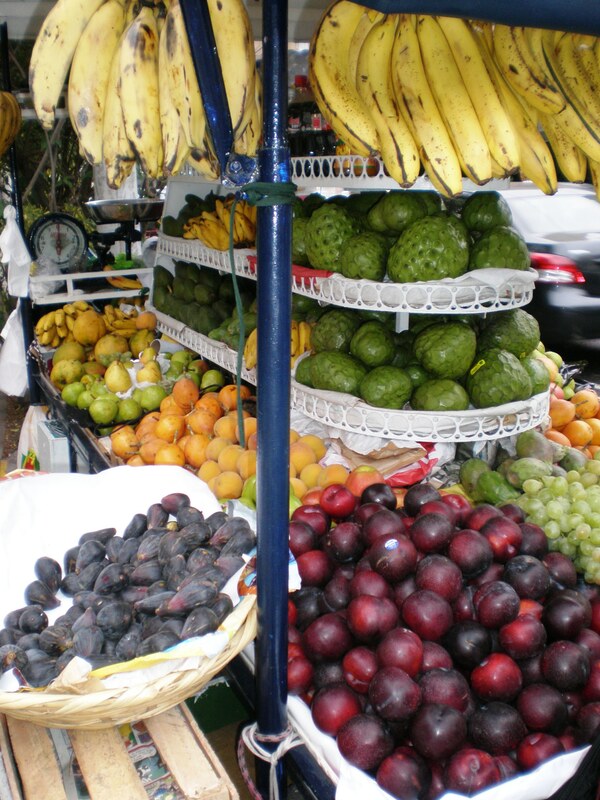 Incredible fruits in the tropics, from Costa Rica to Bali; melt-in-your-mouth freshly caught capitaine fish, which I ate by light of a campfire and stars, camping along the Niger River in Mali; and pretty much everything in Morocco, especially homemade pastillas with fish or chicken and almonds. 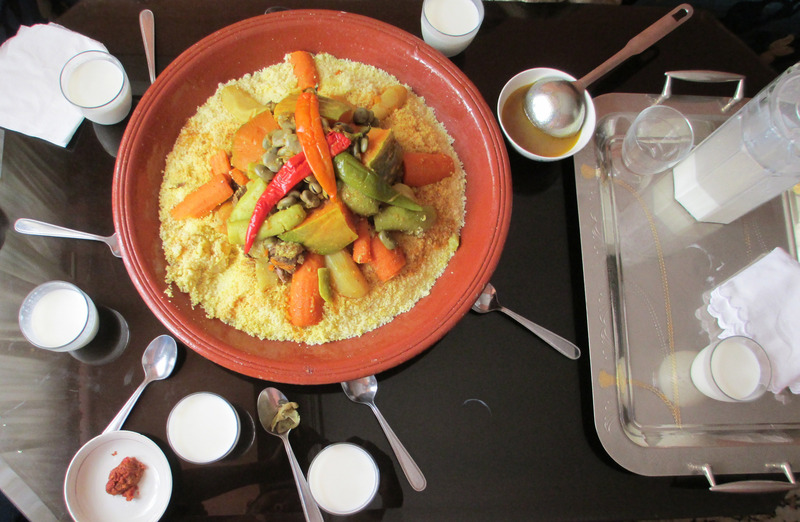 Upon returning stateside after Morocco, I lost my appetite for two weeks – a VERY rare occasion for me! The best oysters of my life were shucked in front of me on a street corner in Paris in November, near the Musee d’Army. That time of year of course is great for vin chaud. And the crepes or galetas, so fresh, were delectable. My latest obsession is a food truck in Austin called Kebabalicious. Turkish doner kebab wraps that absolutely master an optimal mix of flavors, with finely seasoned meat and spicy red sauce cooled by tzatziki. I’ve craved them every day since my last trip there. 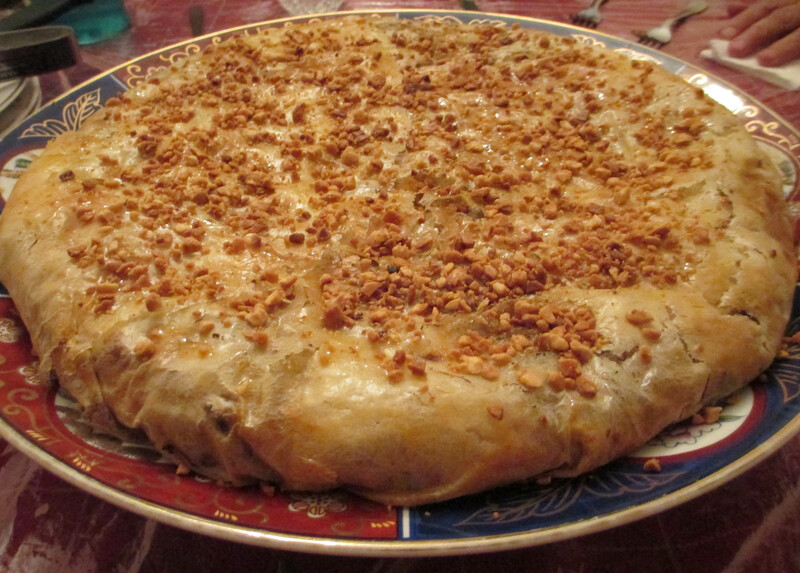 Moroccan-style salad – Besseha! / To your health! So with those scattered highlights in recent memory, I will close with anticipation of more focused posts on future culinary endeavors! Once again, beautifully enticing food pics and a very charming article. 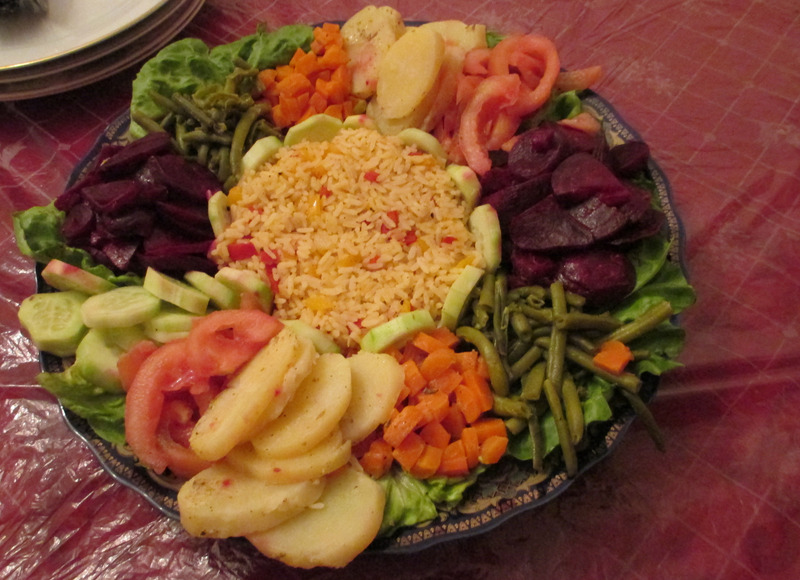 Ohh, that Moroccan-style salad looks delish ! Besseha ! Thank you for posting, Michelle !